April 2014 | Oh Sarah O ! 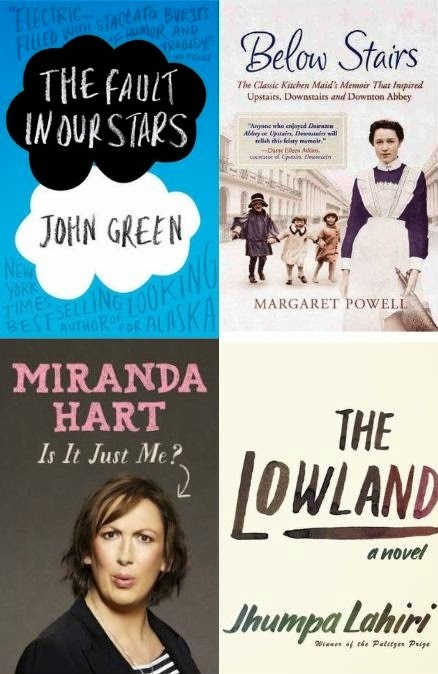 1) The February ABM book club selection was The Fault in our Stars by John Green. There had been alot of hype about this book online and I'd heard that it was being made into a movie, but this wasn't the kind of book that I would read on my own (It's a young adult read and it's got a sad plot point; the main characters have cancer), but I was pleasantly surprised. I enjoyed the witty thoughts of the main character, Hazel Lancaster, and banter with her boyfriend, Augustus Waters. And just when I thought I had predicted how this book was going to end, there was a major plot twist. Though I wasn't a fan before, now I just might go and catch the film in theaters. 2) Since I flew through The Fault of our Stars in half-a-month, I decided to read something from my bookshelves. I had purchased Below Stairs a few years back on a visit to Lawrence, Kansas at my favorite local bookstore, The Raven (mostly because I like to pet their in-store cat) while I was going through some major Downton Abbey withdrawals. Having recently finished the latest season of Downton Abbey season 4 in the UK, I again found myself having Downton Abbey withdrawals and picked up this book about Margaret's own experiences in 1900's England which took her from being a poor country girl from Hove, to being a Kitchen Maid in some of the finest houses in London. Such a fun read! 3) I recently testified my love for Miranda Hart and I was ecstatic when my husband bought me the audio-book of Is It Just Me? read by Miranda. During our recent road trips, one of my husband and I's favorite things to do is listen to this audio book and laugh to quietly to ourselves, like we've got a secret. I loved this book! I'd recommend it to any woman over 35, single woman, tall women, women that shop in the big and tall stores, and fan's of Miranda Hart. 4) The March ABM book club selection was The Lowland by Jhumpa Lahiri, who also wrote the book The Namesake. I have seen the film of The Namesake so I was somewhat familiar with Jhumpa Lahiri's work. This book is about two brother's who grow up outside of Calcutta, India in the 1960s-70s. One brother grows up and becomes part of a political rebellion group in Calcutta while the other brother goes off to study in America. I struggled to get through this book by the end of the month as some of the drama was a bit too intense for my tastes. However, I did enjoy the descriptions of life in India and it made me aware of India's turbulent past which I wasn't aware of before. 5) I am currently finishing up ABM's April book club selection, Longbourn. This book describes the lives of the servant's who served the Bennett family from Pride and Prejudice. It's been an interesting modern retelling (although it was kind of slow to start) of the classic novel and I'm just a few short chapters away from finishing it. 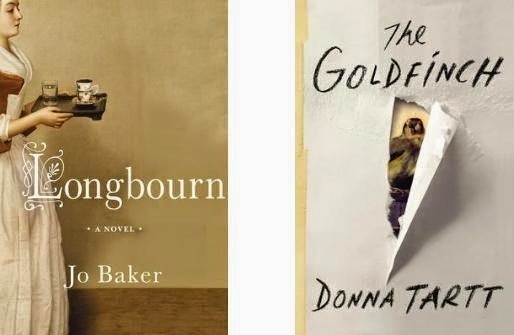 6) Up next is the ABM May book club selection, The Goldfinch by Donna Tartt. It's a best-seller about a boy who tragically looses his mother which leads him down a path full of heart ache, mystery, and friendship. I usually like to curl up with more light-hearted reads after a stressful day at work, so I'm not sure if I'm going to like this one. And it may be difficult to finish in the month of May since it's 775 pages long! I'll try my best, and I'll definitely be reading this on my Kindle for easy travelling. If you like, you can join the ABM book club by simply following A Beautiful Mess's blog and reading The Goldfinch and commenting on the discussion post at the end of May. Are you participating in A Beautiful Mess's book club? If so, what do you think of the books so far? If not, what have you been reading lately? Let me know in the comments below. Perhaps I should have titled this post Who's Making Me Laugh. Anyways, after looking back on past posts I don't know how I have gone so long without posting about Miranda Hart, who has quickly become one of my favorite comedians. 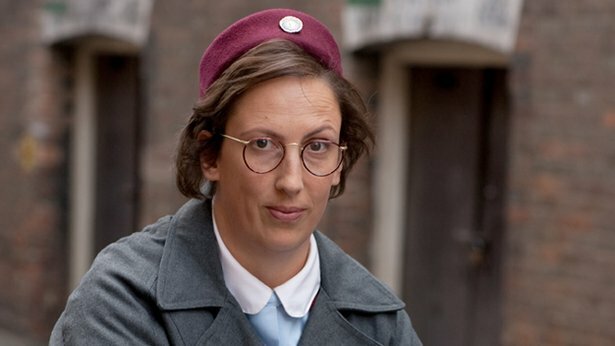 Fans of the TV series, Call the Midwife, may recognize Miranda as the clumsy and lovable, Chummy, but those across the pond (or those who frequently visit the HULU Originals category of HULU) will know Miranda from her self-named comedy series. I first became a fan of Miranda Hart after watching the show, Miranda, on Hulu and later on the BBC which is a semi-autobiographical show in which Miranda owns a joke shops and winds up in many socially awkward situations. Recently I finished her hilarious auto-biographical book, Is It Just Me?, and I caught her on her What I Call, Live Show comedy tour earlier this month which combined comedic elements from her book and TV series into a fabulous party setting. Such fun! So, if you're not familiar with Miranda Hart, the comedian, go check her out right away. She'll have you in stitches all week long! What I'm Listening To: Tom Jones and Sally Barker- "Walking in Memphis"
This week I purchased my ticket to see Tom Jones live in concert this summer and I am STOKED! Those who know me well, know that I do a mean Tom Jones impression. I just think he's awesome! He's touring all over the globe right now, so check out his tour dates if you want to see him too. One of the main reasons I watch The Voice UK is to cheer for Tom Jones and his team (go Team Tom! ), so this week I'm listening to Tom Jones' duet with contestant, Sally Barker, singing "Walking in Memphis". Sally was so good on the show! She should have won! This weekend my husband and I visited the majestic Stonehenge which reminded me of this NSFW song, "Stonehenge", by the "What Does the Fox Say" Norwegian comedy duo, Ylivis. If you haven't heard the song, check out the video above. This week on Coletterie's Wardrobe Architect series, they began making their spring sewing plans, but I'm not a confident seamstress (especially now that I don't have easy access to my Mother-in-Law to fix my mistakes), so I'd rather buy garments that would be above beginner level sewing. Also, I like to knit. So I decided to compose several spring wish lists. 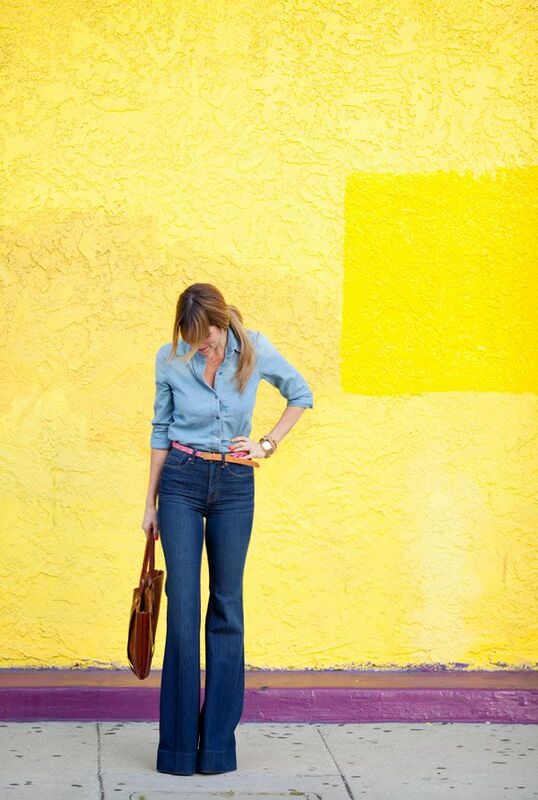 To review, in previous weeks I selected my Spring 2014 color palette and silhouettes. As you can see, I added a few more spring silhouettes. Before I could determine what my wardrobe was lacking, I first needed to evaluate what pieces I already had in my closet that would fit into my chosen silhouettes and pallet. When I tracked my wardrobe I discovered that I didn't have very many pairs of shorts and I was lacking in woven tanks, blouses and casual skirts/dresses that are also work appropriate. I'm also lacking in pieces in heather grey, icy pink, icy blue, icy lavender and hot pink. This was the fun part. I just started browsing on Pinterest to see what inspired me. I already have Gertie's slip pattern (B6031) and I'm waiting for my black and white sewing kit to come in the mail. I would love to make a few Colette Sorbettos- maybe in hot pink or icy lavender. I'd also like to make a Colette Jasmine- maybe in icy pink or icy blue and black and I like the way that the Sencha cinches at the waist. Grainline Studio's Tiny Pocket Tank also looks like a winner. Since I'm lacking in shorts, Colette's Iris would be a good pattern to sew up in Icy Blue and Icy Pink. I also wouldn't mind a pair of Clover's in red and a heather grey suiting. 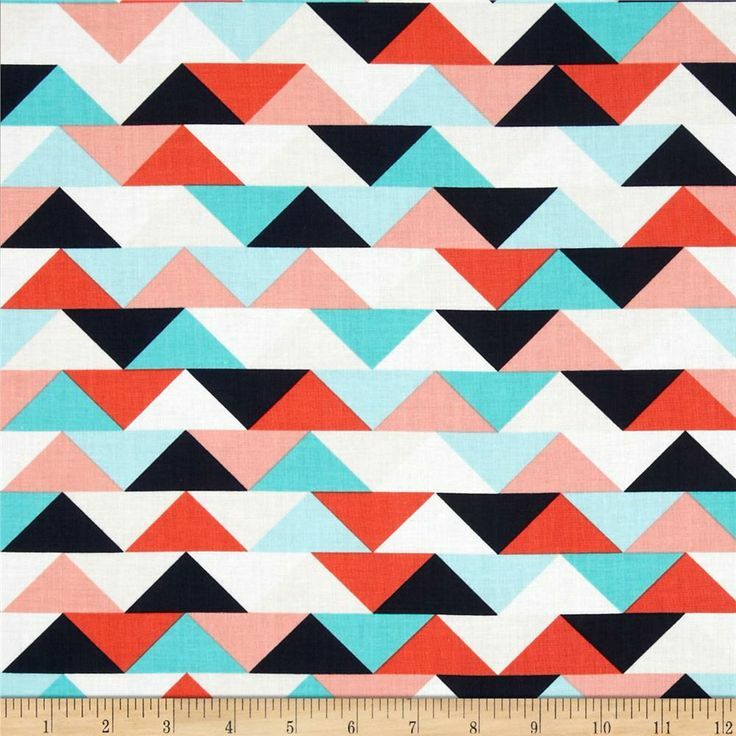 I have some Mondrian inspired fabric that is screaming to be made into a Simplicity 1609 1960's vintage dress. Tilly and the Wall's geometric skirt is 100% awesome! I recently purchased her Coco pattern, but have put it on hold. I love the look of this wrap blouse below from Burda style that says it's for a novice, but I'm not sure if it really is. I'm currently working on the Aidez cardigan pattern. I'd love to make a little 3/4 sleeve cable knit sweater in icy blue. I'm obsessed with the pink angora sweater from Ed Wood. I'm trying to decide if I'd like to use the Jackie-O tee pattern or the fluffy jumper pattern. I think Aiken would also look great in icy blue. I'd love to knit a Vashion in icy lavender. Who doesn't love a brightly colored Featherweight cardigan!? Cut-off and rolled hem denim shorts. 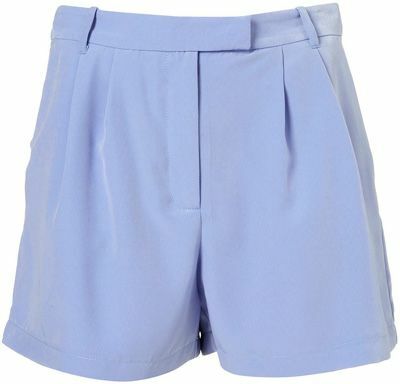 Shorts (just in case I don't get around to making them). I'd really like a kimono wrap in navy blue. What I'm Listening To: Kaiser Chiefs- "Coming Home"
Since watching the finale of The Voice UK, where singer, Ricky Wilson, is a judge, (and by the way, how did Christina Marie or Sally NOT win!? They were both tied for first in my book) I've been listening to the latest single from the Kaiser Chiefs, "Coming Home", from their album Education, Education, Education & War. And how fitting to be listening to this song the same week that my husband has returned home to me after being away for work for a whole month. Indeed. And if that's not motivation enough to listen to it, I also think that Ricky Wilson is looking pretty hot lately. He's like an English Ryan Gosling. There, I said it. Oh how I wish that I could make my American friends watch the Graham Norton Show (I know it's available on BBC America, but I'm sure they edit it a bit)! I just love that show! This week the Graham Norton Show returned to the BBC after a brief hiatus and this week's episode was hilarious. A clip from a 1987 episode of the Australian soap, Neighbors, featuring Kylie Minogue and Russell Crowe. Bad wax museum likenesses of the celebrities. Cameron Diaz discussing why women should keep their pubic hair. A brilliant performance of "Into the Blue" by Kylie Minogue. Now I really want to head to the theaters and try to catch The Double. What I'm Listening To: Arctic Monkeys- "Do I Wanna Know"
I know that the Arctic Monkeys have been popular for awhile now; they nearly stole the show at this year's BRIT Awards and they're currently number one on the US Alternative songs charts, but I'm only just starting to listen to this Sheffield band and so far I like what I hear. Check out the song "Do I Wanna Know" by the Arctic Monkeys above and let me know what you think.